Lead singer Dean Colley has been performing in rock bands since 1982, after leaving the University of Southern California, where he was studying biology. 15 years of playing in bars and regional fairs followed playing rock and roll covers with other local musicians. All the while, people began taking notice of Deanâs ever more prominent resemblance to Neil Diamond. Soon, audience members were asking Dean if he did any Neil Diamond songs. A short time later, a local businessman asked Dean if heâd like to put together a tribute to Neil Diamond. Dean accepted the challenge and began studying the songs of the legendary singer/songwriter. 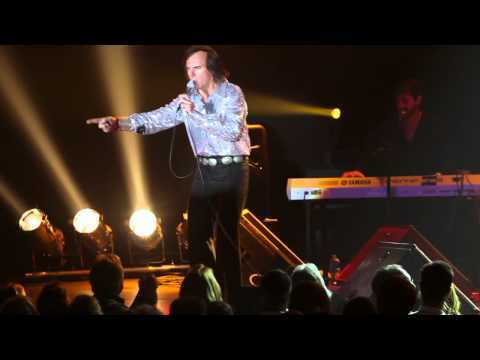 After a trial version of Dean as Neil Diamond in a small club, he was offered a chance to perform for a community concert put on by a local Kiwanis club. From there, the show became known as âHot August Nightâ, after the title of Neil Diamondâs live album recorded at the Greek Theater. Many versions of the band followed. Players came and went. However, a chance audition for a tribute show for military personnel in Japan introduced him to a whole new level of players. These musicians were seasoned professionals and put a whole new spin on Deanâs presentation. After arriving home after the tour of Japan, Dean convinced the band to play in Hot August Night. This led to working with better musicians and an outstanding presentation. Today, Hot August Night has played casinos, corporate parties, fairs, and clubs all over the United States, Japan, Canada, and England. Hot August Night has played major showrooms in Reno NV, Laughlin, NV, Las Vegas NV, Carson City NV, Minden NV, Tucson, Phoenix, Yuma, AZ, Lincoln OR, Seattle WA, Atsugi Japan, Iwakuni Japan, Oxford England, Bettendorf IA, Edmonton Canada, Stone Mountain GA, Toulumne, San Diego, Hollywood, Anaheim, Hollywood, Beverly Hills CA, and Palm Springs CA.